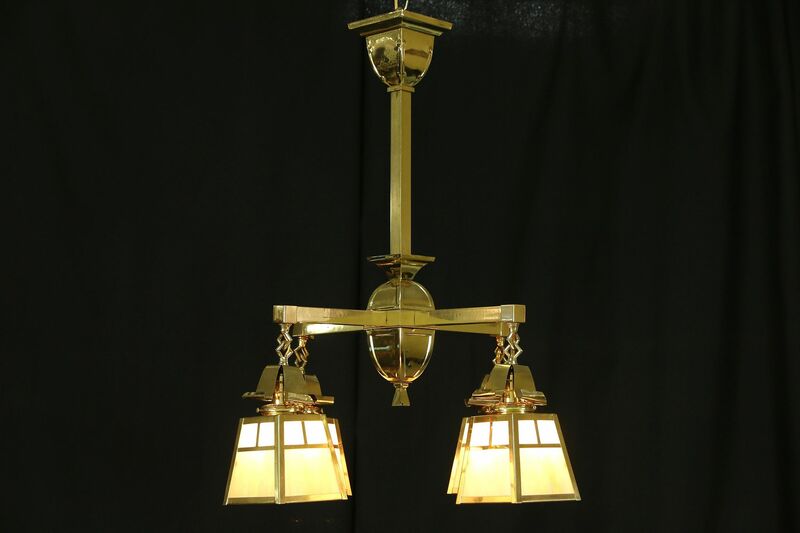 A solid brass chandelier or ceiling light fixture is from the Arts and Crafts period about 1910. The lacquered finish is in excellent condition, standard base sockets have been rewired. American made antique lighting, the stained glass shades are undamaged and beautifully opalescent. There are tiny original "bubbles" in the bottom cast brass finial plus a small ding in the panel above, see photos. Size is 23" across and 29" tall, not including the removable adjustable chain and cap for higher ceilings.